Great Tips for A Great Start for the School Year + Giveaway! The moment has arrived. The years leading up to your child’s first school experience were great. Now it’s time to get your little one off to school! It’s a new experience for everyone; perhaps it’s the first time your child will be away from you for this long. You have your own anxiety about the situation and so does your child. What are some things you can do to help make the start of the school year go as smoothly as possible? 1. Talk about school weeks — or even months — in advance. Let your child know they will get to experience something new and cool by going to school. Remind them as they have started what a big kid they are and all the exciting new experiences they are going to get! 2. Allow time for them to ask questions. Be open with them about any anxieties they have. Dealing with those emotions early on will help pave the way for success on day one. The drive to school or walk to the bus stop is a great time to allow kids to open up. Ask leading questions and allow space for silence. 3. Make a lunch date or volunteer to be at school activities. Schools typically allow parents to come and eat lunch with their child in the cafeteria. Take advantage of this opportunity. Communicate to your child you are only a short distance away if something ever goes wrong, and you are excited to experience new things with your kiddos. 4. During the first few weeks, allow extra time to get him/her ready and out the door in the morning. The more calm things are at home, the easier the separation will be. They say it takes 30 days to form a habit and starting school is a big new habit! Preparing your child for school can be incredibly challenging and rewarding. As a parent, however, our job is not done when they walk out the door. There are also things we can do to set ourselves up for success in order to better support our families. These include a few financial to-dos, like developing or growing an emergency savings account. Learn more about how to prepare your finances and your family for the school year by downloading our Back-to-School Checklists. You can find these checklists, plus enter to win an awesome backpack filled with school supplies and goodies, by checking out the Packed-to-the-Max Backpack Giveaway. The Packed-to-the-Max Backpack Giveaway is sponsored by brightpeak financial in partnership withBlessings in a Backpack™, an organization that provides a backpack of food for low-income students to take home on weekends. These children are on the federally funded Free and Reduced Meal Program, and are at risk of going hungry on the weekends. 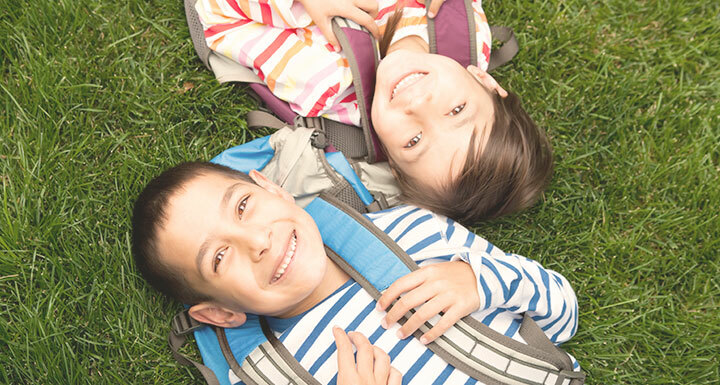 brightpeak financial is donating one backpack to Blessings in a Backpack™ for every person that enters the giveaway, so help support kids in need (and potentially win a very cool prize!) by going here to enter. NO PURCHASE NECESSARY. Odds depend on number of entries received. Ends 9/16/15. Must be 18 or older. Sponsored by brightpeak financial, 901 N 3rd St. Suite 195, Minneapolis, MN 55401. Void where prohibited. See www.brightpeakfinancial.com/rules for Official Rules and complete details.